But he famously had a change of heart after experiencing a blinding vision of Jesus while on the road to Damascus. Upon regaining his sight three days later, he converted to Christianity and became one of the fledgling religion's staunchest advocates. He proceeded to preach all across the ancient world for several decades, sharing his heartfelt conviction that Jesus was the Messiah. However, Paul's proselytizing did not sit well with the Roman Emperor, Nero, who had the troublemaker tried for treason, convicted and tossed into a dank prison cell to await his fate. That is setting of this depressing biopic, unfolding in Rome in 67 A.D. Co-written and directed by Andrew Hyatt (Full of Grace), the picture basically revolves around a jailhouse friendship allegedly forged between Paul and Luke (Jim Caviezel), a physician and fellow believer. According to this speculative docudrama, the good doctor visited Death Row daily in order to secretly record Paul's pearls of wisdom before his beheading. If the suspect storyline is to be believed, the upshot of that effort was the New Testament's Acts of the Apostles and the Book of Luke. But I can't help but wonder whether there's any proof that the two religious icons ever even met. Regardless of the liberties that might have been taken with the truth, I was turned off by the pall cast over the production by Paul's relentlessly-dire plight, and it didn't help matters any that the movie has way more talk than action. What does it tell you when a movie's most-memorable moment involves Nero's roasting Christians alive at the stake for fun, and referring to them as "Roman candles." I bet you thought the term was coined for the firecracker. 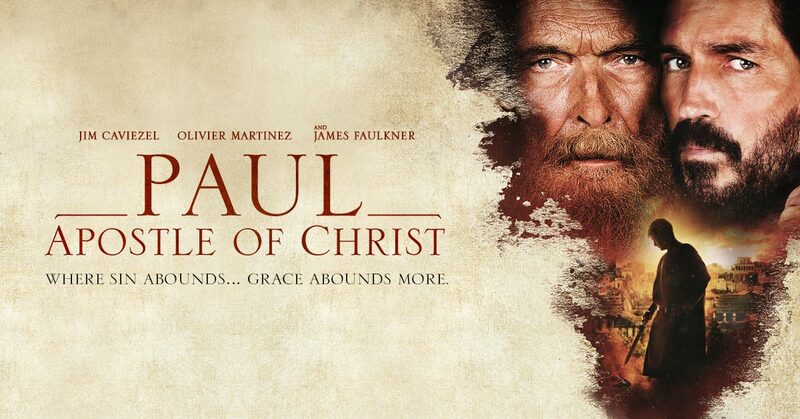 Overall, a faith-based, snuff flick with little appeal beyond the Bible-thumping demographic.